A simple way in which you can draw traffic to your website and make it more noticeable is by deploying excellent article writing techniques. The readers will always look for valuable information that will attract them every now and then to your website. All the content needs to be relevant to the main niche of your site in order to be efficient. How to write quality content is a question that many newbie writers have and here are some secrets that only the specialists know. There are lots of resources about how to lead a SEO Campaign for your website. But SEO is for search engines. Web contents for your site visitors. 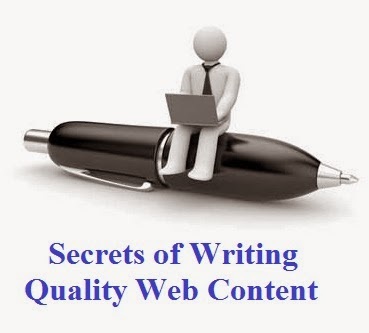 So, learn how to write quality web content in successful way. Read below articles for more ideas about it. The format in which the article is presented needs to be readable. This is why you should use headlines that will grab the reader’s attention. Also, you may want to deploy numbers and bullets in order to break up a really long text and make it more manageable to read. The visitors are not attracted by long paragraphs that seem to be unmanageable. It is vital to write articles which are related to the content of your site. This means that the readers will get a high interest in your services and products. The relevancy of the articles is what keeps the site going. Even if it is tempting to write on topics that budge you, the whole idea is to give your niche readers what they actually need. The used tone has to be friendly and easy to grasp. You should avoid being too technical. Also difficult words should be avoided by all costs. Another important strategy is to stay within the given topic. The people who read the content are looking for a certain thing. So center the article on one certain aspect and dissect it as much as possible. Besides this, you have to offer information and facts which are useful and interesting to the reader. Even if you want to write a lot, it is better to focus on shorter articles that are easier to grasp. Before publishing the articles, do not forget to check the grammar and spelling. The whole text needs to flow in a smooth manner and look professional. All websites have it own unique strengths. Every author would like to increase their domain authority with popular contents so, if you do research before writing, you can understand what other contents are being offered across your marketplace. we need to understand our competition ,audience and what keywords we should focus on. Otherwise, you will miss the chance and wastage of money and time. Just write for your audience. 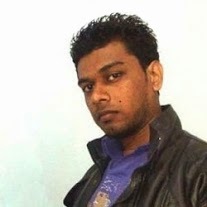 Author Bio: Sohan Jayasinghe is the owner and author of Bloggertrix.com .He has been blogging since 2009 and writing Blogger trix since 2010.If you want to contact him, Just leave a message via contact us page. Hi Sohan..how are you my friend? really I like your post keep in touch from INDONESIA. Niche share bro.. i will try to create my content with this techniques.. This is awesome article, Thanks for sharing.